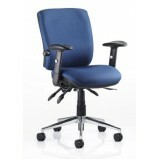 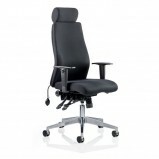 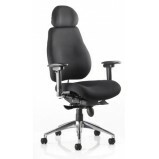 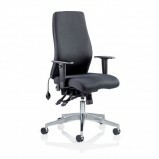 Office Furniture GB offer a selection of low cost ergonomic chairs. 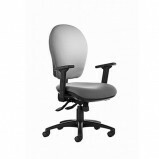 Ergonomic seating is an office workers most important tool, promoting good posture and comfort for long periods seated at a workstation. 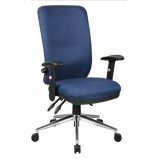 Seat slide Contoured foam Twist adjustable pump up lumbar Ratchet back height adjustment Ajustable arms 3 lever mechanism Polished chrome base Options Blue or Black Farbric ..
Saltire Ergonomic Chair This beautifully crafted chair sets new standards in posture seating design. 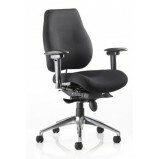 With it’s distinctive wrap around arms, a spine hugging center column and saddle shaped seating to create a stylish and ergonomic soluti..